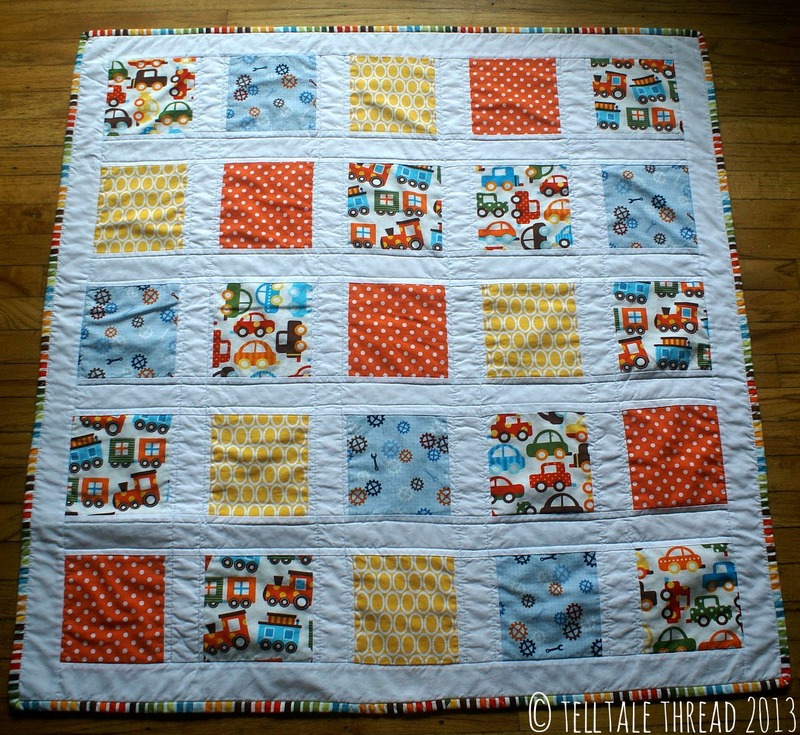 New Quilt for a Silent Auction Fundraiser! Next Saturday this event is taking place to raise money for the family of little Owen (pictured above). Owen is currently undergoing treatment for Acute Lymphocytic Leukemia (and responding really well! Yay!). Unfortunately, the treatments, for the first month and periodically thereafter, take place in Vancouver. Now, that’s not a huge distance from Victoria but the cost of accommodation, travel, food, etc all add up. Not to mention all of the other bills the family has. Too bad there’s no ‘pause’ button on all of those! 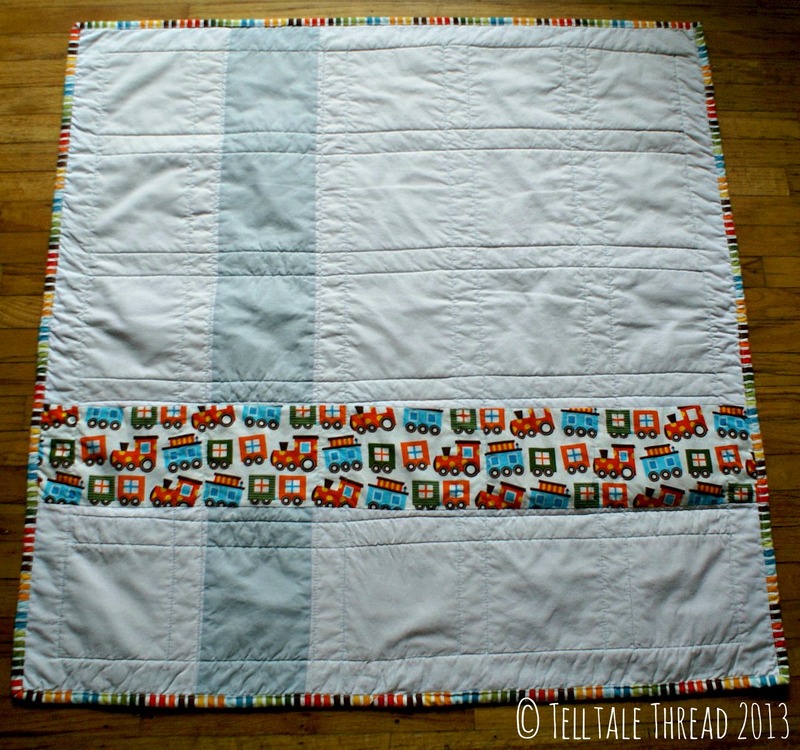 I quilted it with a light blue Aurifil 50wt in a grid pattern about a 1/4 inch from the blocks along the sashing, and used a fun rainbow stripe for the binding. 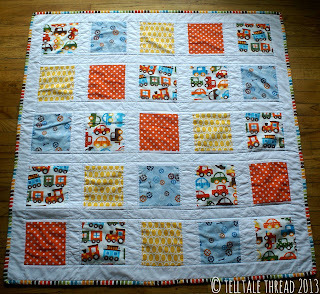 I wanted to make the quilts bright and colourful to bring a little happiness to Owen and whoever the lucky recipient of the auction quilt will be. 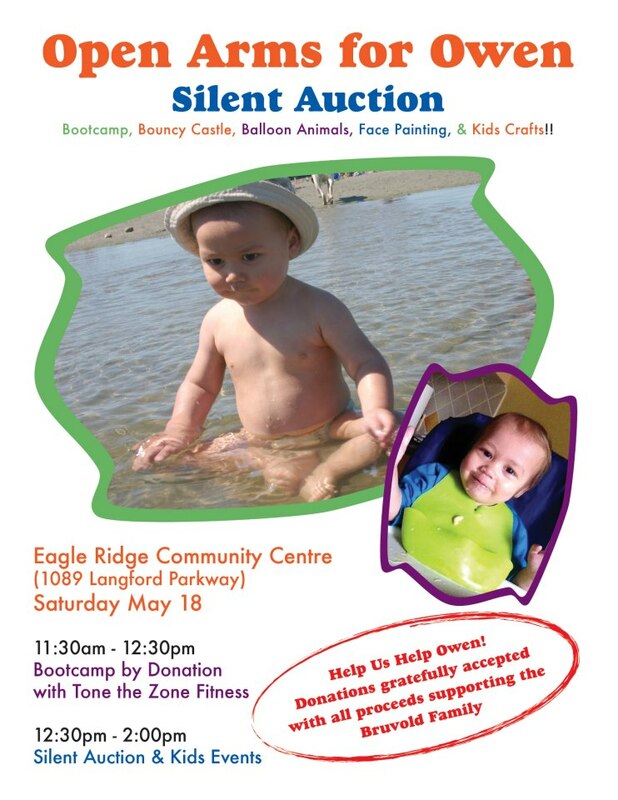 If you’re in the Victoria area, or will be on the 18th, please keep this in mind if you’re looking for something to do and would like to help support a good cause. There will be fun activities for the kids and there are a LOT of really great items up for auction. Hope to see you there! This entry was posted in fundraising, leukemia, Open Arms for Owen, quilt, silent auction on May 12, 2013 by telltalethread.